Any other fun and memorable event! 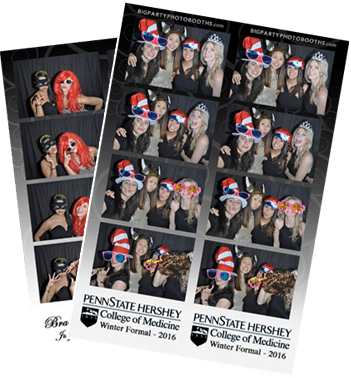 Lancaster’s Premier Photo Booth Rental Company! Big Party photo booths brings the party to any event. If you do not believe us then hire us and discover how our photo booths are like no other in the area. Our photo booths are run by professionals, who will ensure a stress-free event from the moment the photo booth enters your venue. 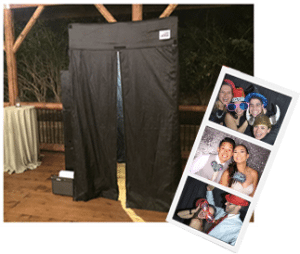 Our photo booths have a modern design that are easily transportable to any venue and can be set up inside or outdoors depending on your event preferences. Our photo booths for hire are large enough to comfortably accommodate 10 people at once. Big Party photo booths have limitless capabilities for your next celebration including: engagement parties, weddings, birthday parties, Sweet 16s, Bar Mitzvahs, Quinceaneras, graduation parties, holiday parties, family reunions, retirement parties, and corporate events. Your photostrips can be customized depending on your theme with names, colors, and background design. You also have a choice of an assortment of wearable props. Imagine the memories that are just waiting to be created. Are you getting married and have heard all of the rage about hiring a photo booth rental from a bridal website, magazine, or bridal show or experienced a photo booth at another wedding? If you are undecided or do not know which company to hire, you are at the right place. We invite you to check out the Big Party photo booth site to help you make your decision to hire us for your upcoming wedding. Big Party photo booths will stand out at your wedding as being the coveted memory from your reception. Your guests will keep their photo strips to serve as a constant reminder of your wedding. You also will be able to look back at all of the photo strips of your guests for years to come in either a created photo book or on the flashdrive that you will receive at the end of your reception. Big Party photo booths can be set up at any venue and are operated by professionals, who ensure a stress-free experience. 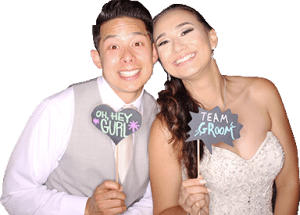 Big Party photo booths can customize your photo strips with your wedding colors or design, the name of the bride and groom, wedding date, or any message that you would like your guests to see on their photo strip. Your guests will not be able to walk away from the photo booth especially because there is no limit to how many times they can go into the photo booth. The photos are printed in 30 seconds and provide four different pictures with endless poses and props. It really is that easy when you hire a Big Party photo booth.